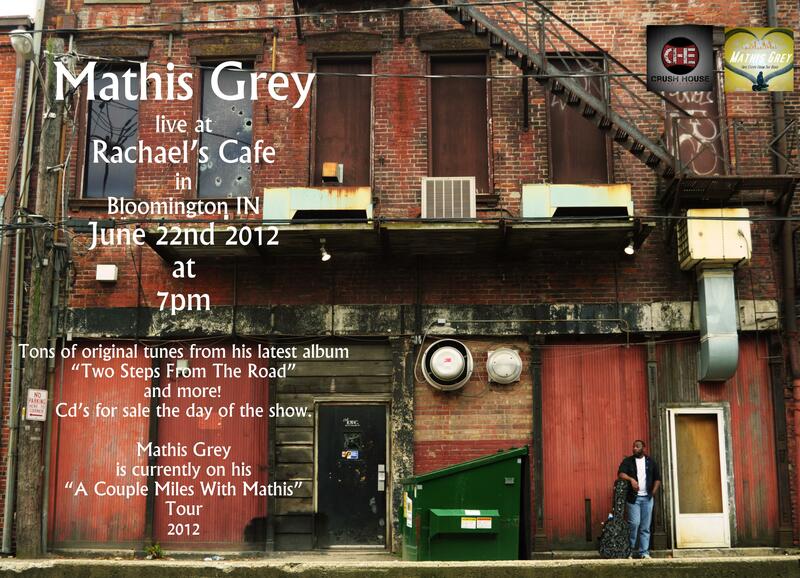 Day 5 of the “A Couple Miles With Mathis” Tour starts tomorrow June 22nd 2012 in Bloomington IN!! 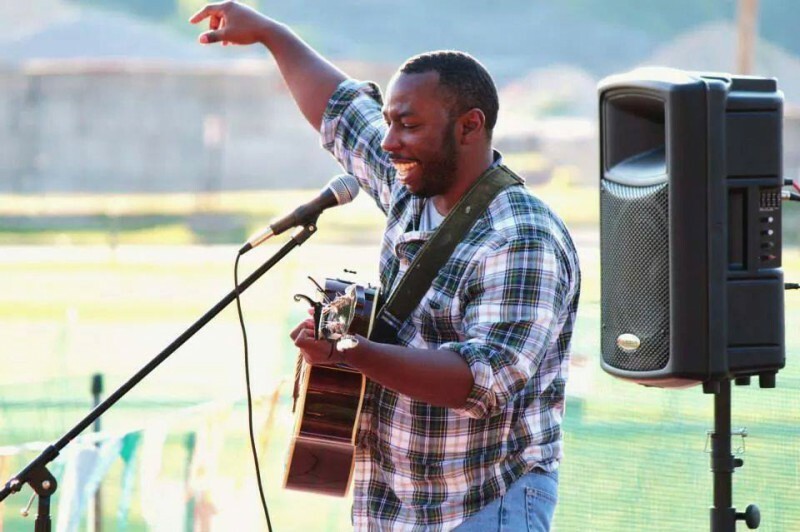 Day 5 of Mathis Grey’s “A Couple Miles With Mathis” tour brings him to Bloomington IN at “Rachael’s Cafe” and it’s gonna be a awesome time. Tons of great music, great food & drinks and also CD’s for sale!! Come on out for the fifth day of Mathis’s tour this summer, it’s gonna be awesome!! Also there might be some special guest so you don’t wanna miss it!! BE THERE.